Intravitreal injections of corticosteroid have been used to treat ophthalmic conditions such as macular oedema due to diabetic retinopathy or retinal vein occlusion and noninfectious uveitis for many years. An intravitreal implant that releases dexamethasone in a controlled manner over three to four months is now available to treat selected patients with these conditions. 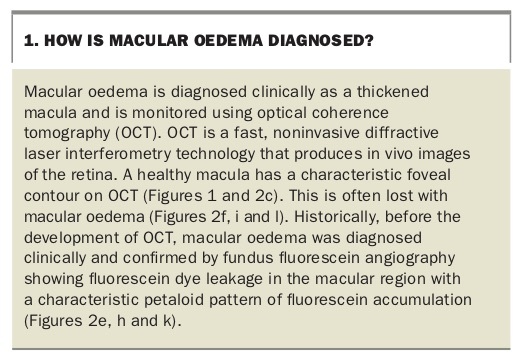 Macular oedema is an accumulation of fluid within the central part of the retina (the macula). This can lead to loss of the normal architecture and function of the macula causing distortion and deterioration of central vision. 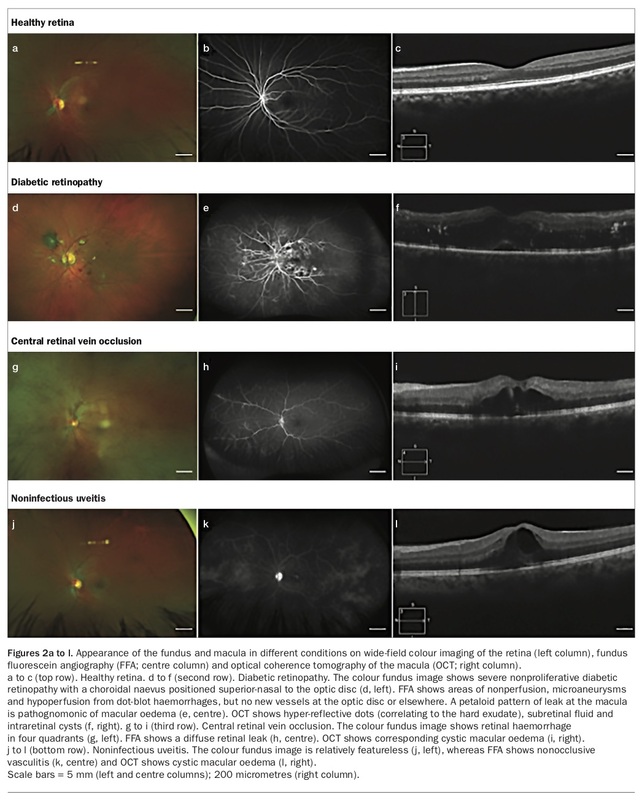 Macular oedema results from a breakdown in the blood-retinal barrier, with fluid accumulating both interstitially and within the retinal glial cells (Müller cells). It can occur in patients with diabetic retinopathy, retinal vein occlusions or ocular inflammation (uveitis). 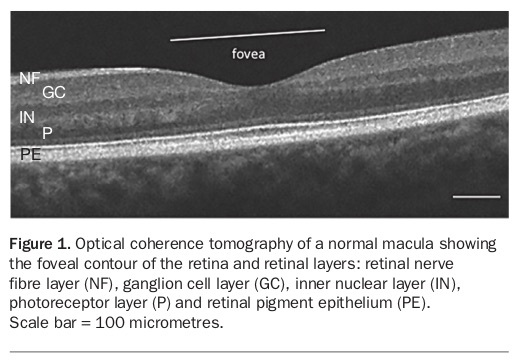 Macular oedema is diagnosed clinically and monitored with optical coherence tomography (Box 1, Figure 1 and Figure 2).